If you’ve spent hours searching through the pages of Amazon or are clicking into every list on social media that mentions gift ideas, then it’s clear that you have someone in your life who’s challenging your creativity when it comes to gift giving. We’ve got you covered, especially if this person is someone who can’t eat enough Indian food. Our creative gift ideas for the Indian food lover in your life will let you check that person off your gift-giving list. 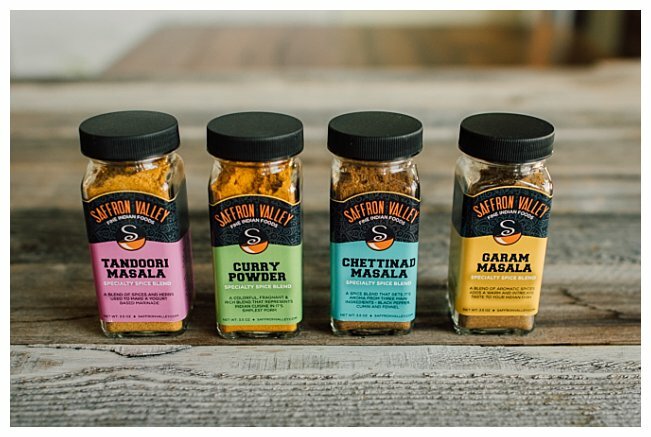 One of our creative gift ideas for the Indian food lover in your life is a spice blend. It is sure to be a hit. These blends include tasty spices like Tandoori Masala, Curry Powder, Chettinad Masala and Garam Masala. Made from natural ingredients, our spice blend is perfect for cooking Indian food at home, making this the gift that keeps on giving. If the person you’re having trouble buying a present for loves to host get togethers, a set-of-four tumbler set is sure to please. Great at keeping your drinks hot or cold, its the perfect glassware to serve your Masala Chair or Ginger Mint Lemonade in. These stainless steel tumbler sets are also eco-friendly! So go ahead and tell your party loving friend to plan their next party, your tumbler gift set will steal the show at their next gathering. Incense and mini statues are two other creative gift ideas for the hard to shop for friends and family members in your life. Both gifts are personal in nature and something to remind them of you when they’re placed on display. Did you know burning incense can increase the serotonin levels in the brain? It can even help with mood and decrease anxiety and depression. Mini statues are fun and unique gifts that your loved ones are sure to enjoy receiving. Clothes are another creative gift idea. When you go with clothes, you can choose something stylish for them to wear as well as traditional clothing items. Select a piece in their favorite color and style. Whether its clothes, bangles, incense or mini statues you’re looking for, you will find these and other creative gift ideas for the Indian food lover in your life from our mini market at the Saffron Bistro in Sugarhouse. The address is 479 E. 2100 S. in Salt Lake City. Stop by to pick up the perfect presents for your loved ones.